There are molds of bodies and molds of minds. 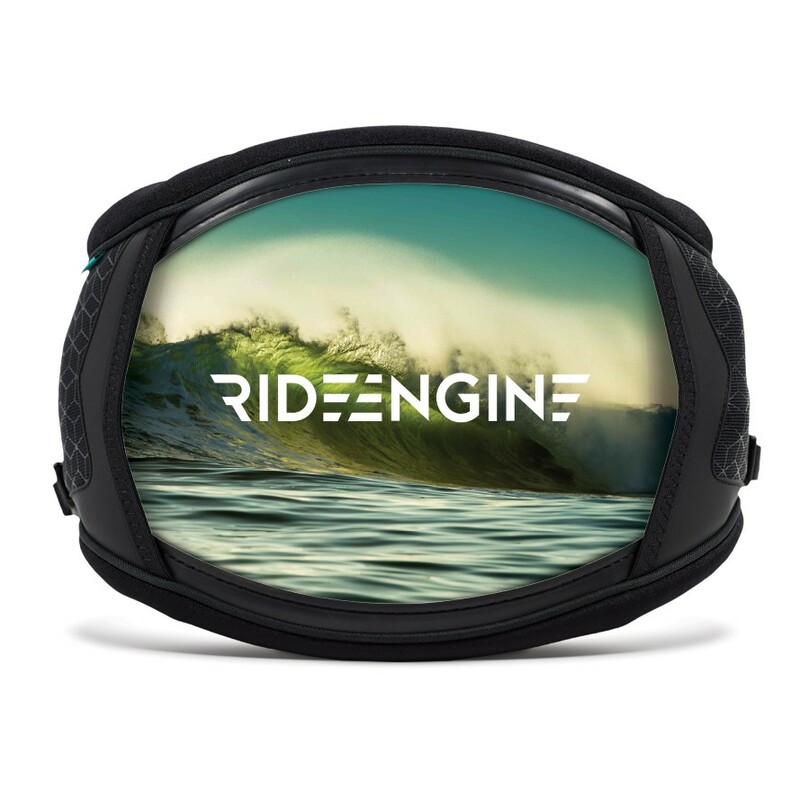 Ride Engine was founded on the concept of custom, and although we’ve come a long way since our days of hand stitching harnesses in a dimly-lit garage, we are staying true to our roots. 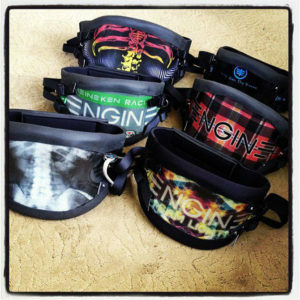 In Ride Engine’s early days, our harnesses were built around custom molds of riders’ backs. 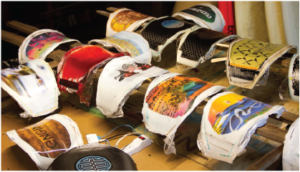 Because each harness was built individually by hand, we had the freedom to use the hard-shell back plate as a canvas. 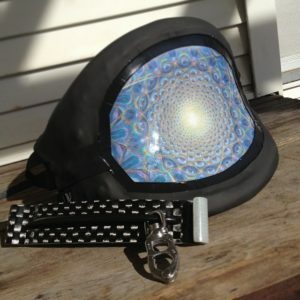 We worked with riders to create unique pieces of art for their harnesses. 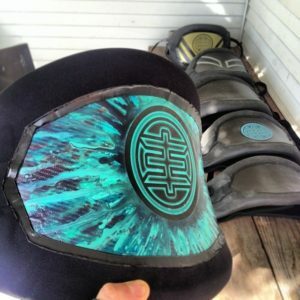 Riders loved the ability to create something truly unique and to express themselves on such a visible piece of their equipment. 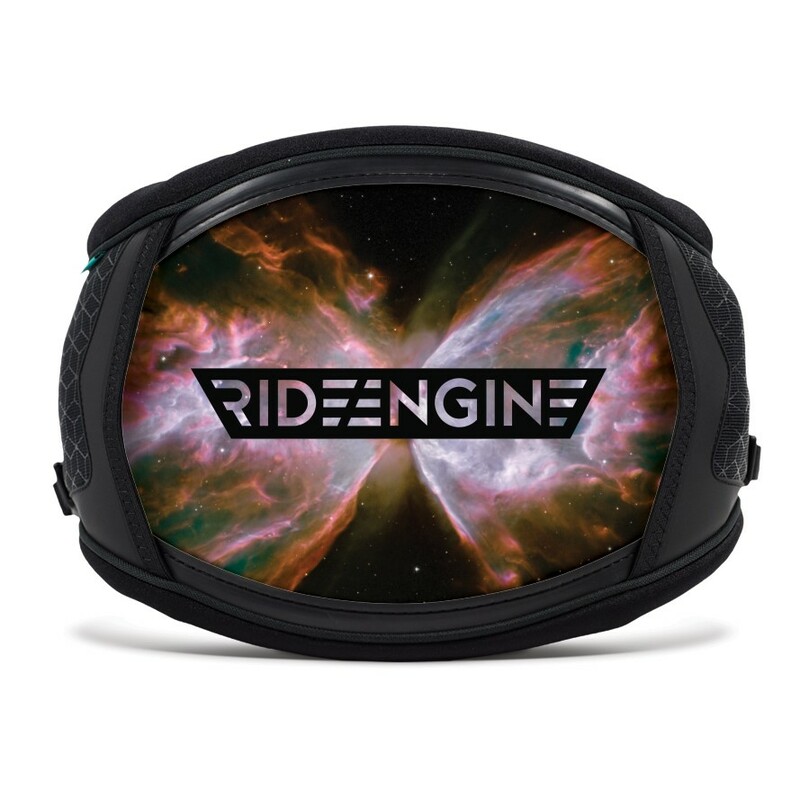 We are excited to take that concept of visual customization to the next level with a program that gives Ride Engine harness owners the power to create custom harness skins. 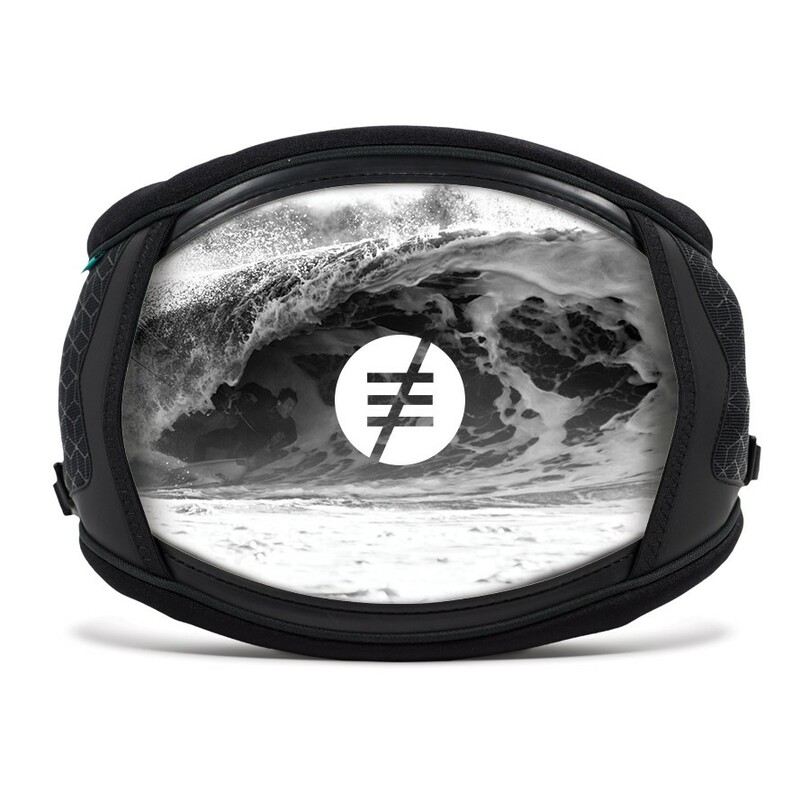 We have partnered with our friends at Artofaction.com Thanks to their easy-to-use online design interface, your harness’s shell is the canvas and you’re the artist. 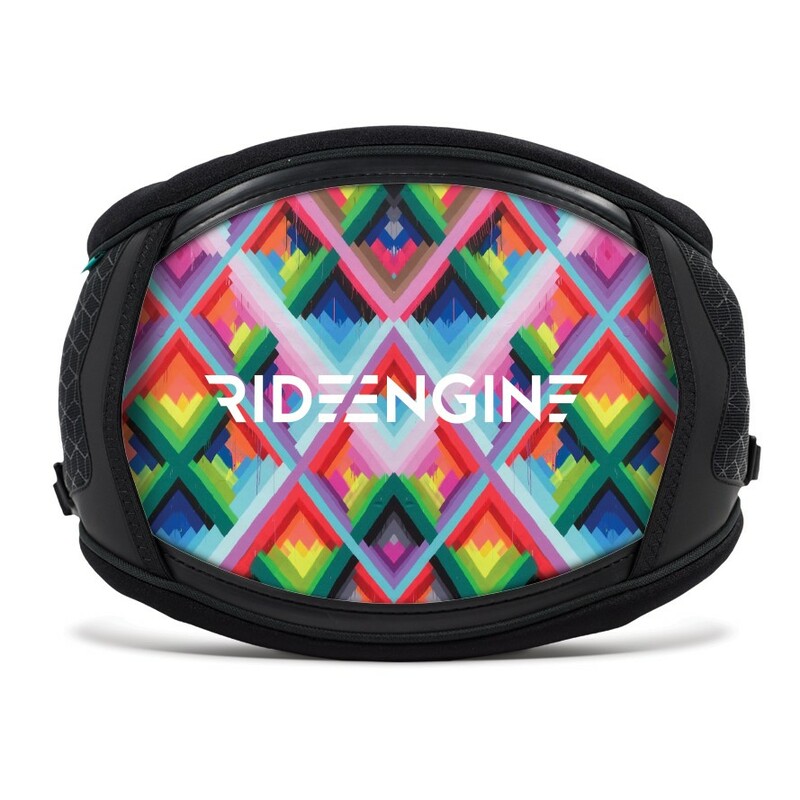 “The performance of your harness should change your life, the art on the outside should change someone else’s” Coleman Buckley Founder Ride Engine. 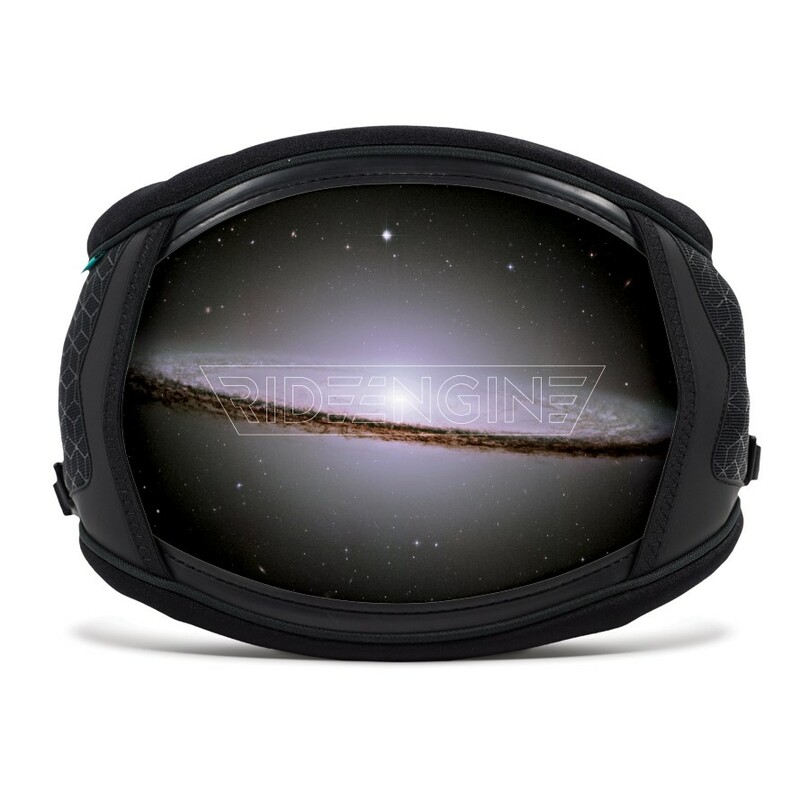 Any image, design or photograph you can imagine, you can now put on the shell of your harness. 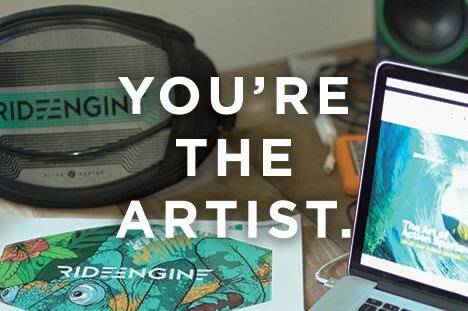 Express yourself, represent your business or sponsor, rock your favorite artist, painting or photographer- with Ride Engine you can turn your harness into a one-of-a-kind piece of art. Either Design your own from scratch or browse our Art Studio. DIY, means uploading an image or graphic of your choosing to the Art of Action interface, add type, logos and other finishing touches and then simply place your order. If you like something in the Studio, pick your size and buy it. 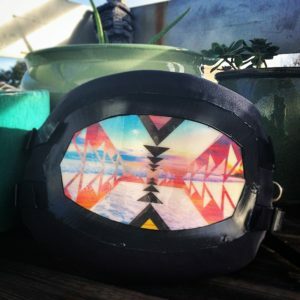 Your custom graphic will arrive in the mail, in the form of a vibrant 3M cast vinyl sticker precision cut to your harness size. This is the same weather, water and fade-proof type used for vehicle, motorcycle and boat wraps. 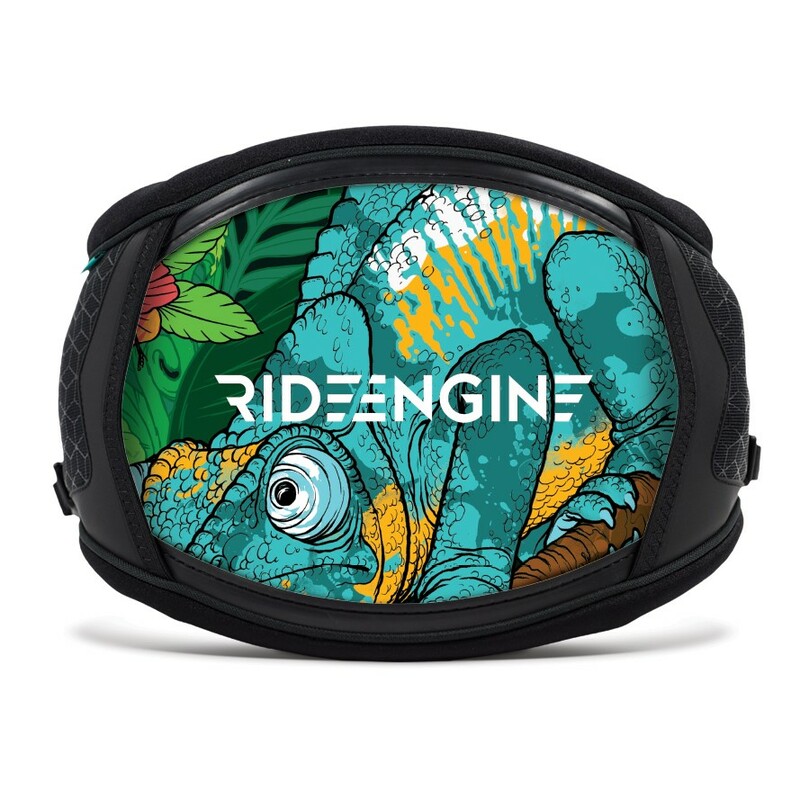 Thanks to Ride Engine’s hard shell design, the sticker applies seamlessly and your harness will look like it was custom printed from the factory. When you’re ready for a fresh look, the sticker is easy to remove and leaves no sticky residue. • Printed on premium automotive-grade 3M cast vinyl. This is the top-of-the-line wrap material used on cars, boats and buses. • Durability guaranteed- uses the same 10mm top coat used to protect motocross bikes from water, dirt, mud and sun. • Easy to take remove. No sticky residue or mess. Peel it off and your harness is back to its original condition. 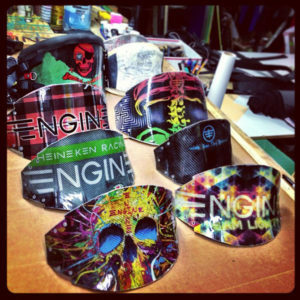 Ride Engine: Design Your Custom Wrap from Ride Engine on Vimeo. 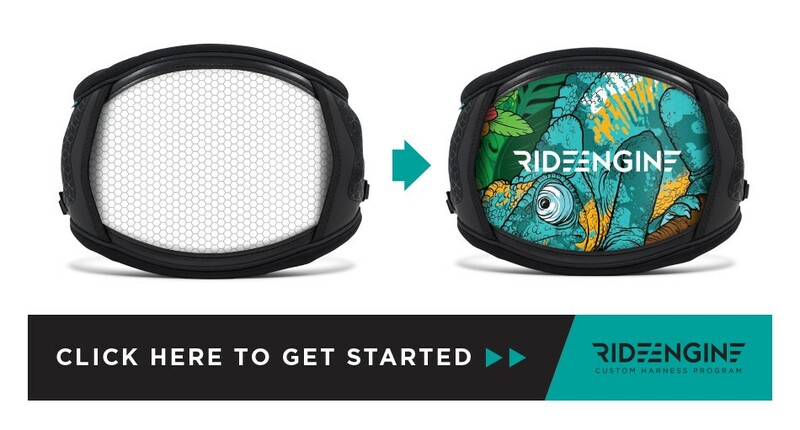 Ride Engine: Installing Your Custom Wrap from Ride Engine on Vimeo.